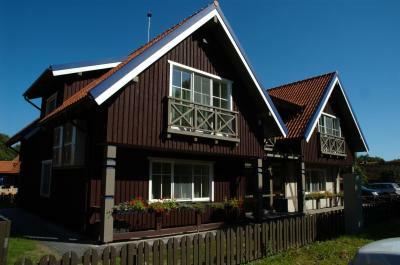 Lock in a great price for Vila Lotmiškis – rated 9.2 by recent guests! Puiki vieta. Labai tvarkingas, graži aplinka. Modernus. Puiki garso izoliacija. Patogi vieta, labai švaru, yra kondicionierius. Viloje buvo labai tylu ir ramu! Naujai suremontuota, terasa lauke, daug įrangos apartamentuose. Pačiame miesto centre. Patogi dvigulė lova. Labai gerai šildė rankšluoščių džiovintuvas vonioje :), pilnai įrengta virtuvė. Rami ir gana nuošali vila, nors ir pačiame centre. Puiki vieta Nidos centre, viešbutis nedidelis, jaukus, švarus. 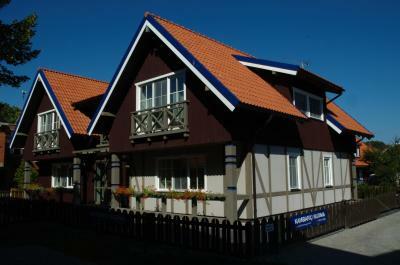 Vila Lotmiškis is located in the Nida resort town, on the Curonian Spit and only 650 feet from the yacht marina. It offers bright, air-conditioned rooms with free Wi-Fi and a flat-screen TV. 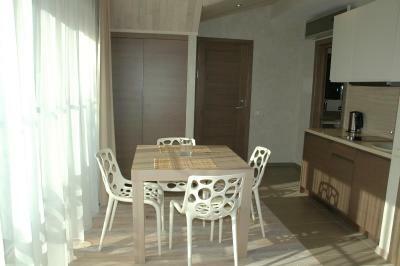 All rooms at the Lotmiškis are decorated with warm tones, wooden floors and furniture. 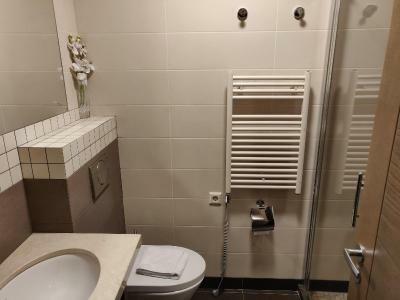 Each comes with a modern bathroom with a walk-in shower and a hairdryer. Most rooms have a kitchenette with a refrigerator, an electric kettle and necessary kitchenware. Barbecue facilities are also available. Villa Lotmiškis is located 1.2 mi from the Baltic Sea. Free parking is available nearby. This property is also rated for the best value in Nida! Guests are getting more for their money when compared to other properties in this city. 뀐 Located in the top-rated area in Nida, this property has an excellent location score of 9.9! When would you like to stay at Vila Lotmiškis? Air-conditioned room with bright interior design, free Wi-Fi, a flat-screen TV and a modern bathroom with a walk-in shower and a hairdryer. Spacious, air-conditioned room with a kitchenette with a refrigerator and an electric kettle, free Wi-Fi, a flat-screen TV and a modern bathroom with a walk-in shower and a hairdryer. Extra spacious, air-conditioned apartment with a seating area and a kitchenette with a refrigerator and an electric kettle, free Wi-Fi, a flat-screen TV and a modern bathroom with a walk-in shower and a hairdryer. House Rules Vila Lotmiškis takes special requests – add in the next step! Please let Vila Lotmiškis know your expected arrival time in advance. The parking is not available during summer.